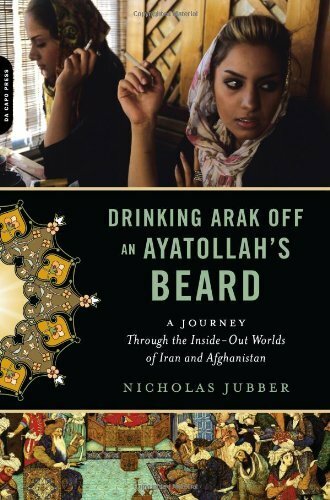 Venturing around Iran and Afghanistan with a copy of the Shahnameh tucked under his arm, Nicholas Jubber relates what this pivotal introduction taught him about modern people who still love this medieval text. Jubber explains how The Shahnameh, or Persian Book of Kings, is still very much alive today for many people, even 1000 years after it’s completion. His book certainly has it’s own style and he visited the Resonance104.4FM studios to explain certain points: from beards to butchers to free motorbikes. This entry was posted in highlights, Promos, Six Pillars to Persia and tagged 104.4fm, afghanistan, book, book of kings, culture, drinking arak off an ayatollah's beard, epic, Fari Bradley, ferdowsi, Iran, national, nicholas jubber, Persian, resonance, Resonancefm, shahnama, shahnameh, Six Pillars to Persia, travel writing on December 17, 2010 by sixpillarstopersia.